These are reissued in new digipak editions each limited to 2000 copies. 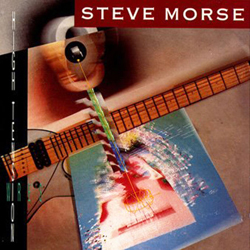 High Tension Wires (1989), Southern Steel (1991) and Coast to Coast (1992) are considered some of the finest albums Steve Morse has ever released. High Tension Wires is a fairly laid back album, afyter which he formed the Steve Morse Band and cut Southern Steel, a medley of various styles such as rock, jazz, country and folk, combined with a strong southern rock vibe. It was followed a year later by Coast to Coast, not long before Steve was asked to join Deep Purple.